SciChart ships with 8 stunning themes, which you can apply to your charts with a single line of code. This example showcases the themes, and how they affect default cursor, zoom, axis, grid and series colors. 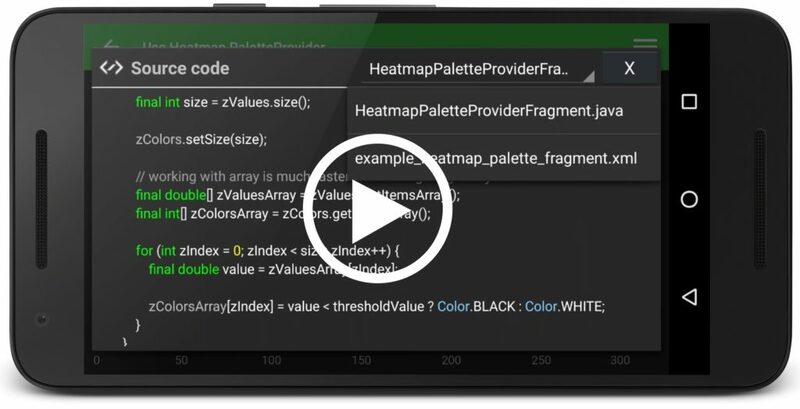 The full source code for the Android Chart Using ThemeManager example is included below (Scroll down! ).